By Ibn Katheer. 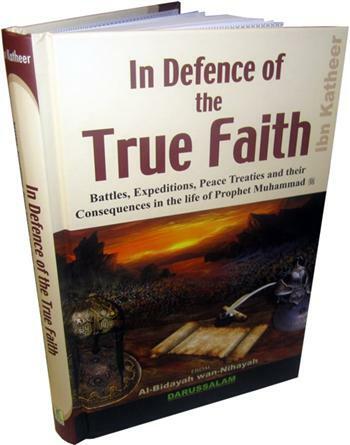 Thia volume is an abridged English translation of the classic work: Al-Bidayah wan Nihayah, focusing exclusively on the battles, expeditions and peace treaties undertaken in the lifetime of Prophet Muhammed (PBUH). Included is a detailed account of the most momentous events from the Battle of Badr to the Battle of Mu'tah, and many more events immortalized in the Noble Qur'an. Powerful lessons in history for today. Dar-us-Salaam, English, Hardback, Pages: 327.